Welcome to another weekly partay. Thanks so much to all of you who joined last week. We had 420 entries. Woo Hoo! Never expected numbers like that. So much inspiration. I am picking up ideas and recipes left and right so keep up the good work. Let's look at just a snippet of what was linked. The picture of this pretty chest just leaped off the page at me. 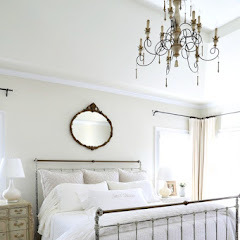 Beautiful transformation by My Passion for Decor. 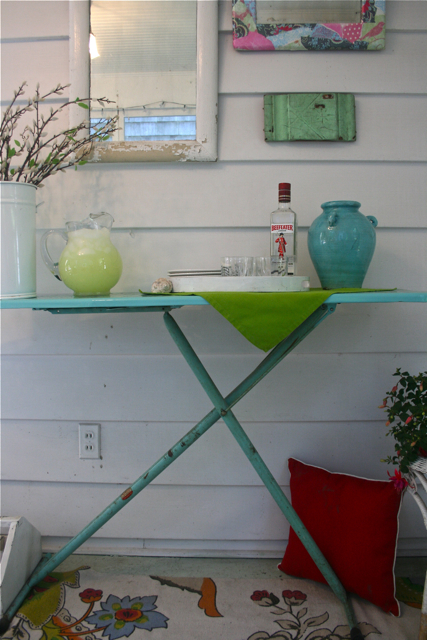 You will find a very cute sunroom with this cutest ironing board bar set up at House TalkN. Beautiful powder room shared by Just Grand. 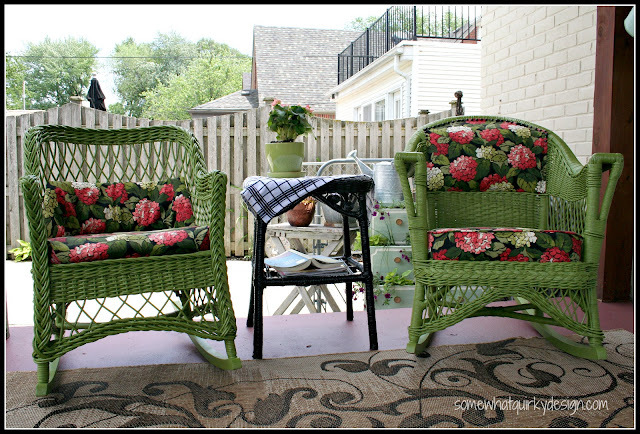 These wonderful green wicker rockers were transformed by Somewhat Quirky. I don't know about y'all, but I am highly allergic to poison ivy. Dawn shares a home remedy cure. Check it out at Creative Cain Cabin. 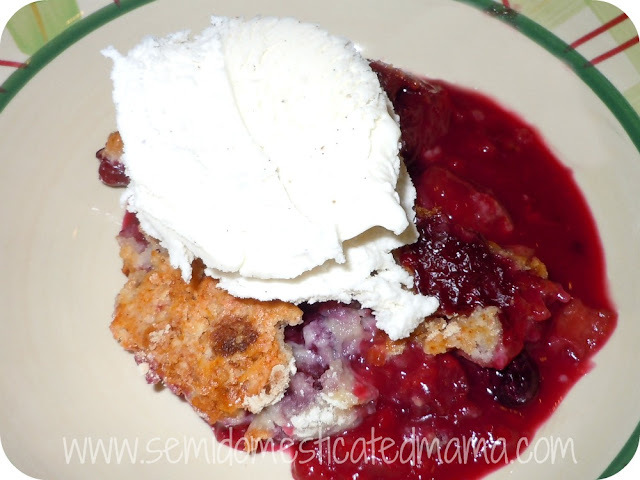 I love cobbler in the summertime. This one just uses three ingredients and is so easy. Find the recipe at Confessions of a Semi Domesticated Mama. Y'all are killing me with all these luscious treats. I am trying to lose weight! I love nutella and this recipe is just too easy and looks so yummy. Check out Fancy Frugal Life. PAHLEEZE turn word verification OFF! Kim, your features are wonderful! Each one is so unique. Thank you for hosting another great link party. I always enjoy seeing the other's amazing ideas! Thank you so much for hosting the party! I really need to check out the poison ivy cure! Love the ironing board bar! I just scored 2 ironing boards - one wood and one metal at the nun's yard sale! Great features Kim, those Nutella crescents are calling my name! Thanks for hosting. Thanks so much for hosting...I'm off to learn the home remedies and then hop around on new projects! Thanks for hosting Kim! I like your begging to turn off WV...I am beginning to think most just do not know they have it on. They need to check. Great features Kim. So much inspiration at WOW! Thanks for hosting. 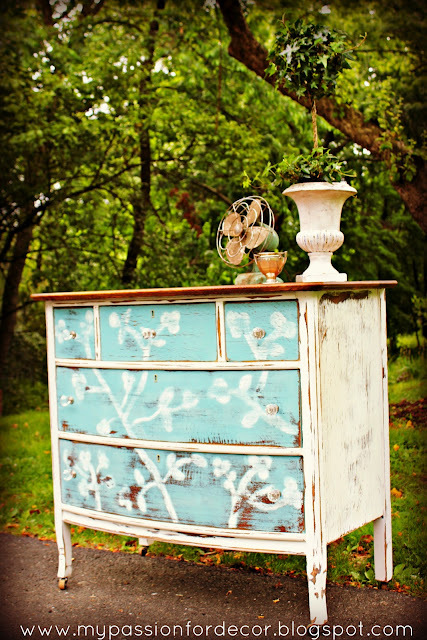 Hi Kim, I love that first dresser it is very striking. Thanks so much for hosting again this week. Great features! Love the ironing board bar! Also the green wicker chairs! Thanks for hosting, Kim! Kim, I hope it's ok that I put up Amy's shop, as the post is about a redesign, and I'm not tryin' to sell nothin'! Beautiful features Kim. Those green rockers are way too cute! Thanks for hosting. I will definitely be checking out that poison ivy cure - that's a summer 1st aide necessity around here for hubby! Delish and beautiful features this week, Kim. Great features! Nutella is great in everything isn't it! Wonderful features, Kim. Of course, I'm noticing all the recipe posts these past few days since I've restricted my snack intake. Thanks for hosting. Great features this week Kim and thanks for hosting! I need to check out the poison ivy cure. 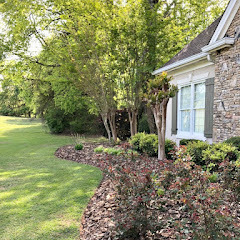 Loved the features....I am going to learn about the poison ivy cure as I am also extremely allergic...had my first poison ivy encounter when I moved to NC....it was awful! !....Thanks for being a great hostess! Thanks for hosting Kim! It's nice to see so much creativity! Love the features! Always such a great mix. Thanks for hosting Kim! PARTY! These are SO MUCH FUN! Thank you, thank you, Kim! I always know I can come here and find something pleasing to the eye and something that gives me a sweet sigh that comes with good things. Wonderful features, and thanks so much for hosting Kim! Kim, you throw the best parties! I'm dying for a nutella crescent now. Kim - Great picks for this week. I am with you the yummy food needs to slow down! Thanks for hosting. Great features, Kim. So glad to be partying with you. Thanks for the party! I need to go back and read the poison ivy concoction story! Love the aqua ironing board - I found one last week. Cant' decide if I am going to keep it or sell it! Congratulations on your party success, Kim! Thanks so much for hosting each week. Thanks for hosting every week. I love visiting everyone! 420 link-ups. WOW! I agree with you about all the great inspiration ... I don't even need to look at magazines anymore. Thanks for hosting. KIM! 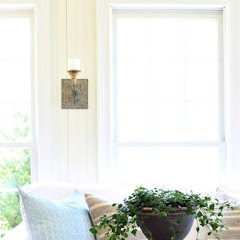 Thank you so much for sharing my sunroom makeover! Come on over for happy hour! Oh my gosh.... so many people participating. So many people love it! Whoa, Kim! Your parties are so popular!!! It is Tuesday night and I was already in the 200's to link up! I LOVED your features, had to go and visit that ironing board, amazing!!! I hope you love my garden planters! Thanks so much for hosting, Kim. It looks like a great party, as usual. 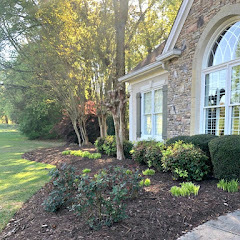 I linked up something that can help you lose weight -gardening tips. Thanks Kim for hosting a great party. 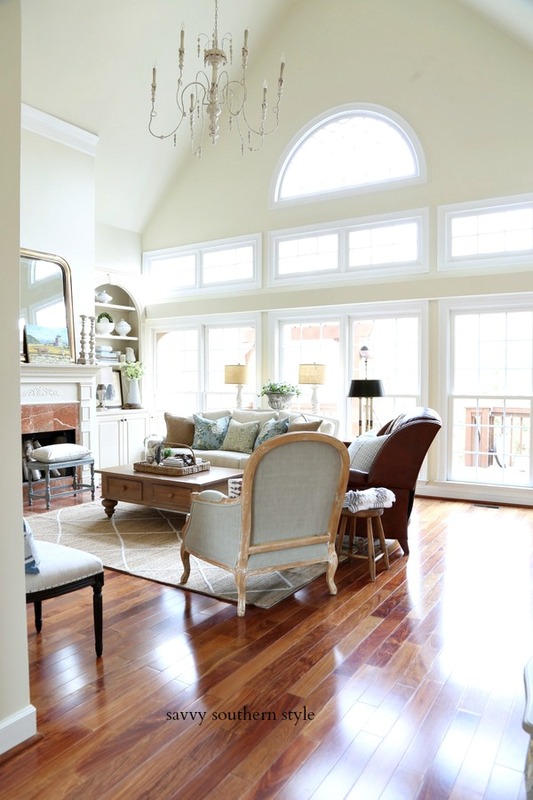 And thanks for featuring my rocking chairs! Wish I had known about that poison ivy cure 10 years ago when I got it two or three times a year! YOU are the daily inspiration! 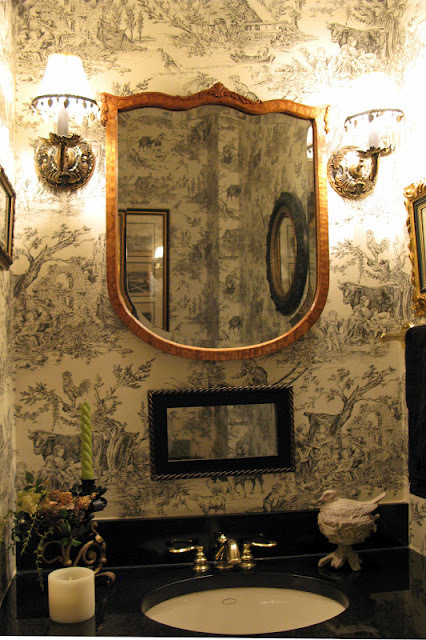 We love how you are constantly adjusting and switching things out in your home to improve and beautify things! Luv the iron board bar! Thanks for hosting. Thank you so much for hosting this party!!! Kim, I'm late for your party, but I finally made it! You do such a wonderful job with this party--my hat is off to you! I've learned this spring that hosting a weekly party is a lot of work, but you've made this one of the best ones in the blogosphere. Have a great day! Thanks for hosting! Kim, thanks for the feature this week. I have had several people already try it, ant it works!! I am loving those green chairs!! So cute!! 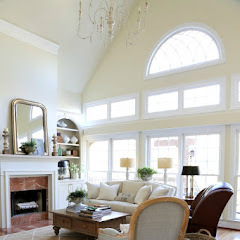 I also love that yellow ceiling you have!! Amazing! Thanks for hosting Kim!! Thanks for hosting this fun party. I always find such inspiration in visiting the party guests sites. Wow. I love your blog. Thanks for hosting the linky party. I am so enjoying checking out everyones blogs. I might have to give up blogging if I get serious about a diet. At this time of day when I read recipes my mouth actually starts to salivate. Seriously. Amazing creative projects once again this week ... so much inspiration! Great features that you chose, Kim! Thank you so much for hosting your great (and oh so popular) blog party for us! Hey, what is with I saw another blogger named her Wednesday party the same thing? 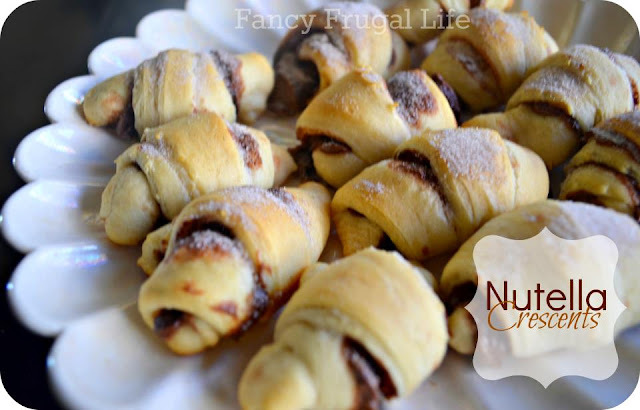 Kim, thanks for hosting and featuring the Nutella crescents from Fancy Frugal Life. I made some last week and they are awesome and addictive. So much to see here! Love the Pringles fire crackers. Kim, each one of your features are just amazing! What a party!!! You are rocking sweet friend! You are great at finding all the good stuff. Thanks for doing Wow Us Wednesdays. I always look forward to it. Great features! 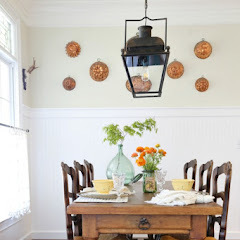 !LOVE that dresser wow!Thank you for hosting. Oh my gosh - those nutella crescents look sooooo good!